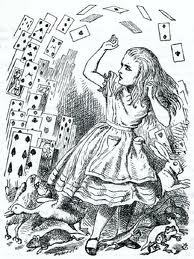 I refuse to admit that I have an Alice in Wonderland problem but nearly every single person that comes to my house says, "So your really into Alice in Wonderland, huh?" Seriously, almost every single person. So maybe I have a little thing for Alice, what of it? It all started when I was three. 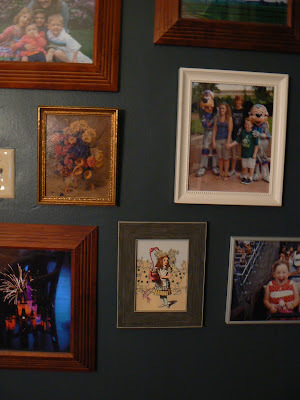 My first time to Disney World was kind of a bust because I was terrified of all the characters. That is until, in a quiet corner of the park, we came across Alice. She was so sweet and pretty that I actually let her come near me without freaking out. Then in college I went to Oxford for a month and I found this sweet little Alice in Wonderland shop across from Christ Church where Lewis Carroll studied and then taught called Alice's Shop. I mean, it was the sweetest shop I've ever seen. 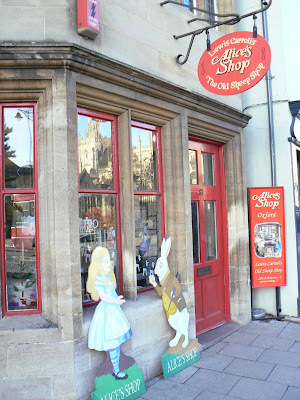 The whole shop was about 8' x 12' and it was packed with all this cute Alice stuff. The only thing I bought was a package of notecards even though I really wanted to buy more. 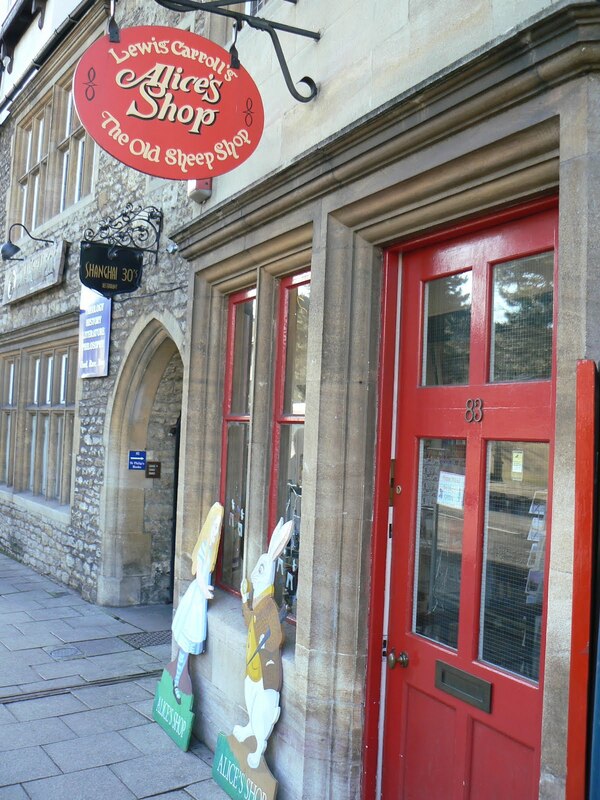 In Blackwell's Bookshop, also in Oxford, I bought a hardcover illustrated set of Alice in Wonderland and Through the Looking Glass. I had never actually read them before and I enjoyed reading them on my trip. 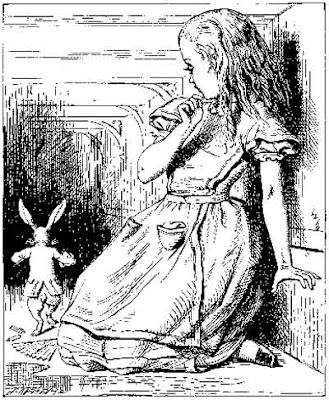 Although, I have to say, the illustrations by John Tenniel kind of outshone the writing itself. 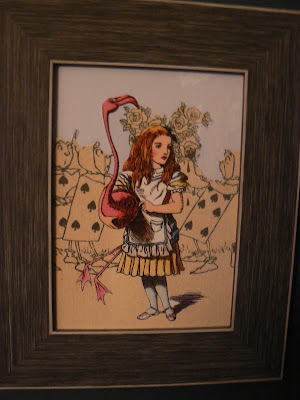 I love these illustrations so much that it inspired me to buy the Etsy prints in my kitchen. (I am still learning how to take better pictures; excuse the glare.) 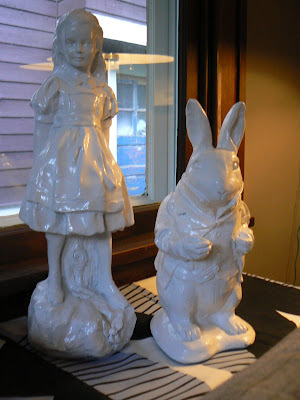 Last year I was in Home Goods when I came across the most wonderful garden statues of Alice and the White Rabbit. It was love at first site. They were a sort of blackish stone color which I immediately spray painted white. I love how they look like large ceramic statues now. You may also notice the book in this picture... yeah, I have a couple copies of the books. This is a notecard that I put in a frame (I love framing notecards). 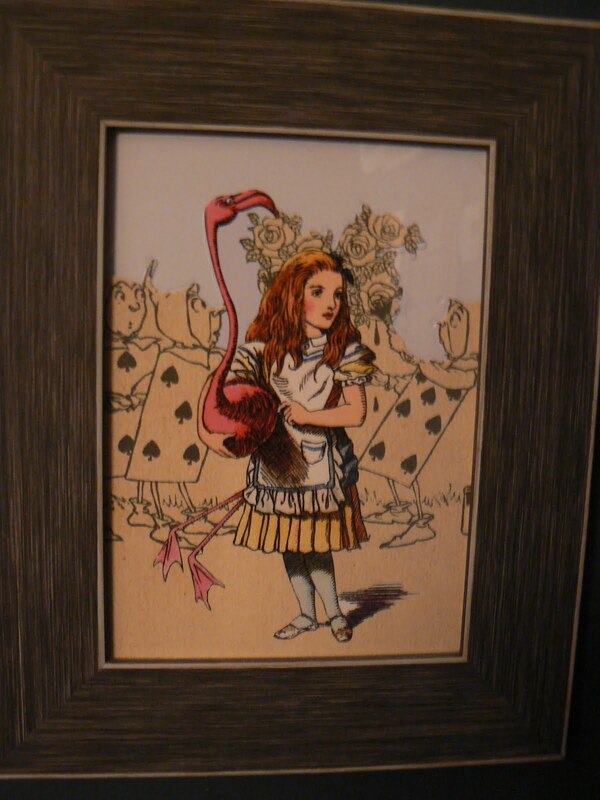 That is the last of my out and proud Alice things. 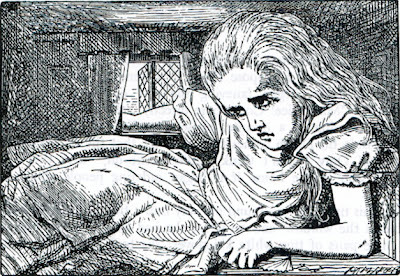 So I may have a very, very tiny Alice problem, but it is in control people, I swear.